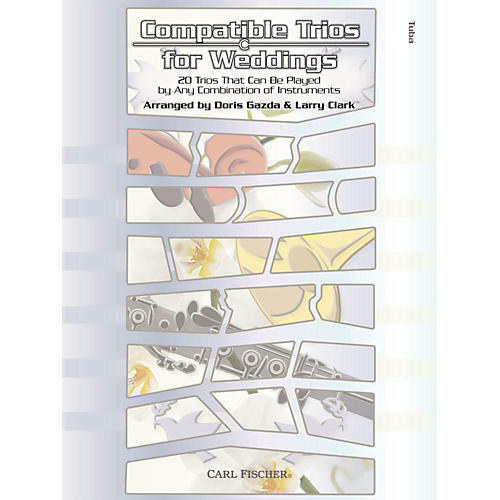 This unique collection contains trio settings of popular music for wedding ceremonies that can be played by any combination of three instruments - wind, brass, or strings. Included are classic songs for pre-ceremony, processional, recessional, and post-ceremony, such as Air on the G-String, Amazing Grace, Ave Maria, Bridal Chorus, Canon in D, Jesu, Joy of Man's Desiring, Trumpet Voluntary, and Wedding March. A piano score is available that contains piano/keyboard parts along with a concert pitch score of the instrumental music.